You must obey certain rules if you want to take a successful passport photo. Essentially this means that you can’t just jump into a photo booth and start snapping away without checking the guidelines first. 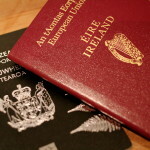 If your picture doesn’t meet the strict criteria it can be rejected, thus delaying your passport from being processed. Here are five things you must avoid doing if you want to get your photo right first time around. The rules are pretty clear on this one. According to the official guidelines, you must have a ‘neutral expression’ on your face. This means that you must resist the urge to smile even if you are tempted to show off your pearly white teeth. It’s the age of the selfie and people are more in-tune than ever when it comes to their best angle. However, when it comes to your passport no one cares whether you look better with your head tilted down as your eyes gaze into the distance. Instead, you must face forward and look directly at the camera. Mobile phone users are spoilt for choice when it comes to pictures. They edit their snaps to make them black and white, sepia, faded and many more shades. 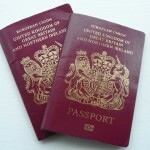 However, on your passport photo you must use a colour image on plain white paper. There are certain exceptions to when you can cover your head. This includes if it’s for medical reasons or because of your religious belief. Obviously, this doesn’t include hats, bandanas or caps, so don’t even think about wearing one of these for your passport photo. Every now and then a new fashion trend dictates that it’s perfectly acceptable to have hair across your face. But there’s little room for adventurous hairstyles on passport photos. If you take a picture with your fringe obstructing your eyes you’ll have to go back and do it again before your passport can be processed. If your first passport photo is rejected it can be very inconvenient. Therefore, be sure to avoid these five temptations and everything should run rather smoothly.